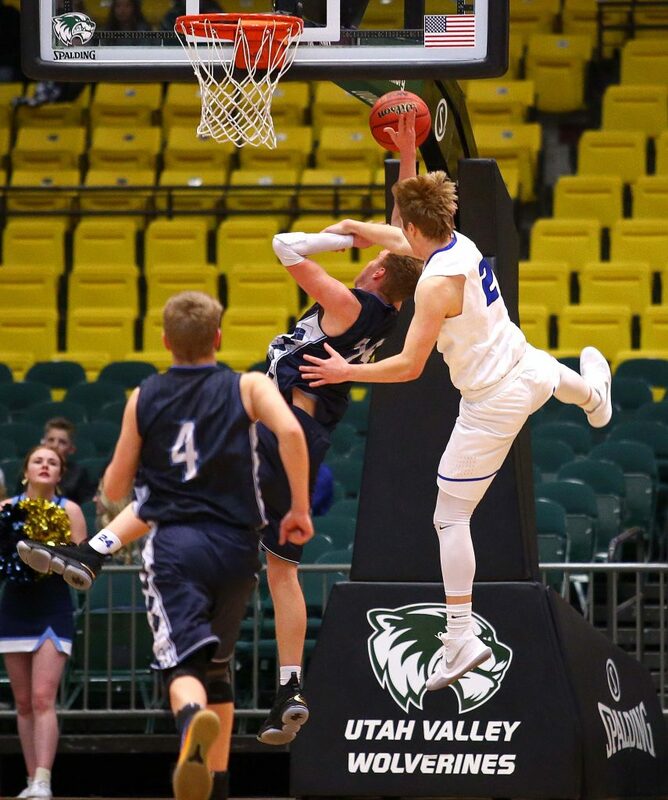 OREM – The theme of the day for Region 9 schools was stale, finicky offense. 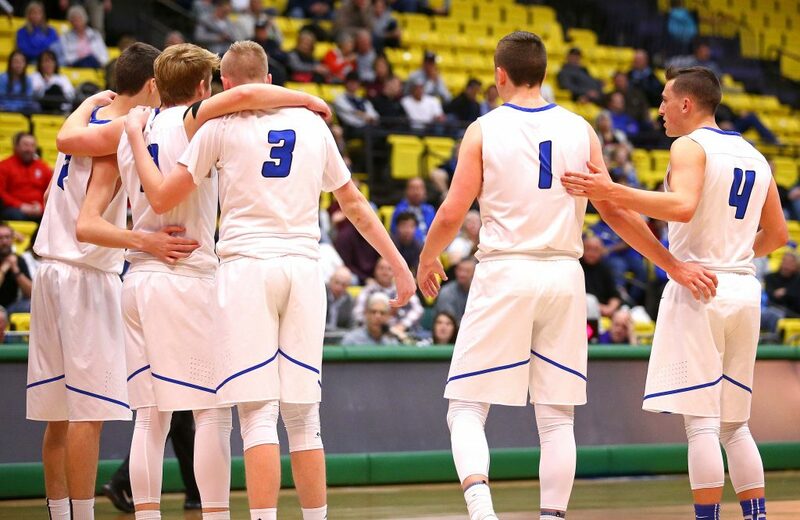 Dixie fell right in line with that motif, managing just 46 points in a 56-46 4A quarterfinal loss to Salem Hills Thursday afternoon here at the UCCU Center. The Flyers hit just 11 of 43 shots (25.6 percent) and fell behind late in the first quarter and never did quite catch the Skyhawks. 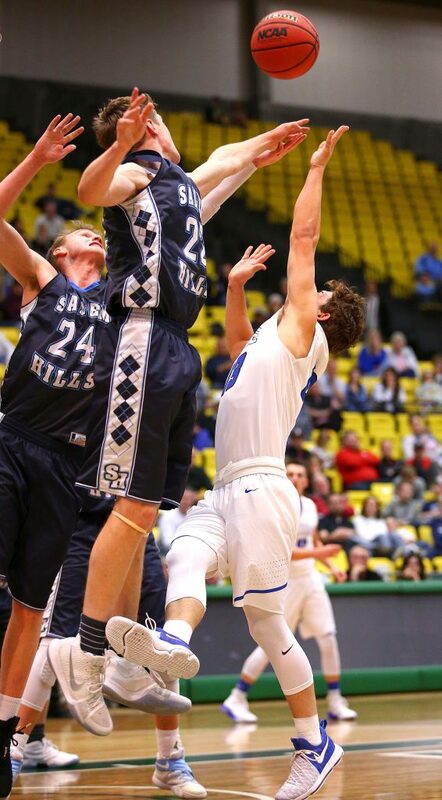 From the outset, it was clear that Salem Hills was going to make the Flyers beat them from the outside. 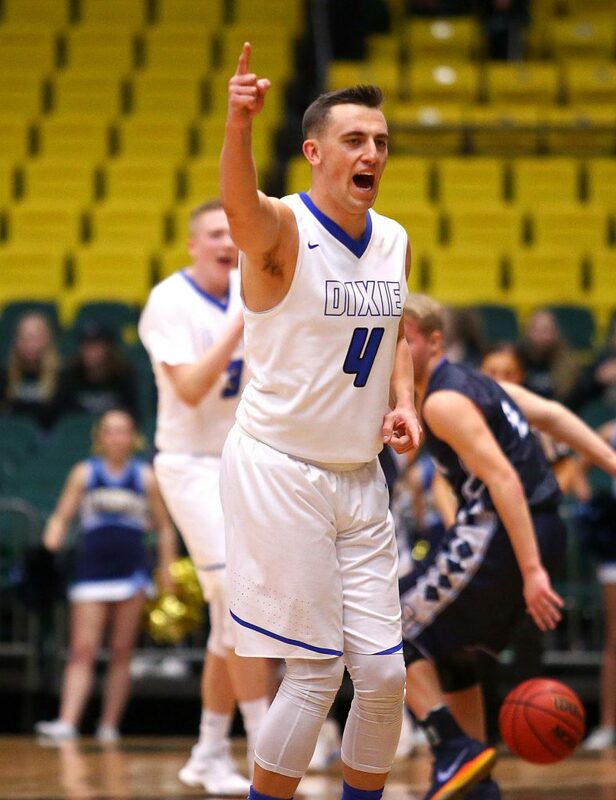 Dixie, which had made just 73 3-pointers this season heading into the game (about three per contest), has made a living in the paint this year. 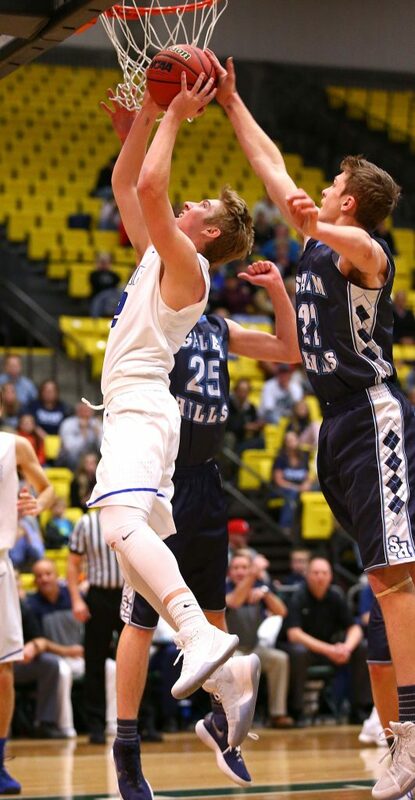 Salem Hills threw down the double-dog dare by packing the lane and forcing the Flyers to look elsewhere. 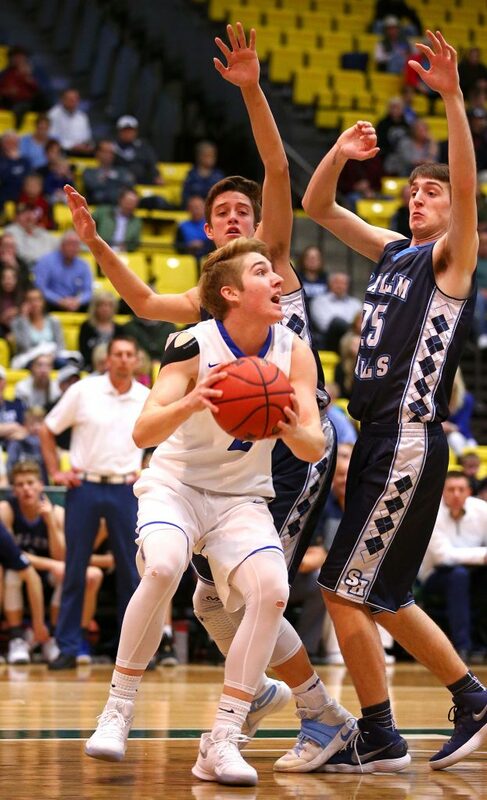 Dixie had beaten Salem Hills by seven earlier this season, scoring 72 points against the Skyhawks in the process. 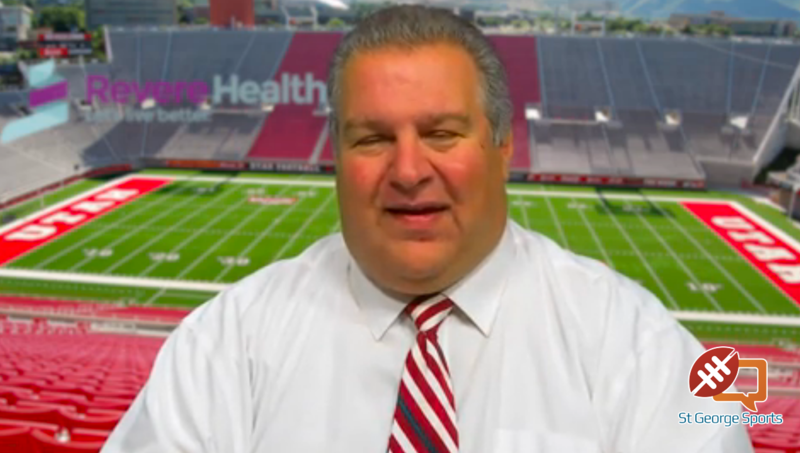 But it was clear early that this would be a different kind of game. 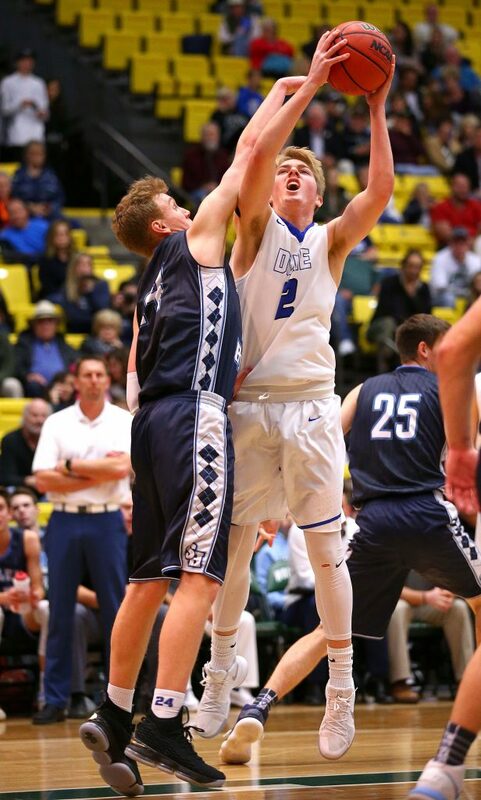 Dixie struggled with its offense, often passing the ball around the perimeter before settling for a bad shot. 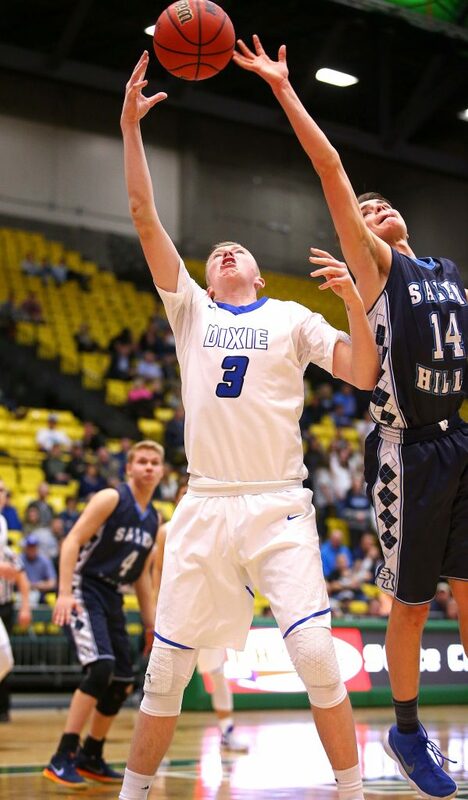 Carson Bottema and Tanner Cuff did hit 3-pointers in the first quarter as Dixie trailed by just a 14-13 count after eight minutes of play. 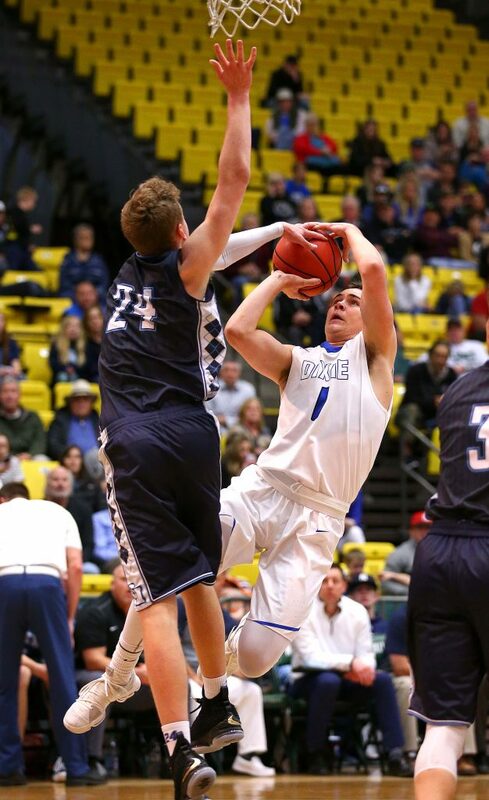 But with no shots falling, Dixie started to fall behind in the second quarter. Payton Wilgar cut it to 20-18 at the 5:13 mark, but baskets by Tyson Bishop and David Jones made it 24-18. 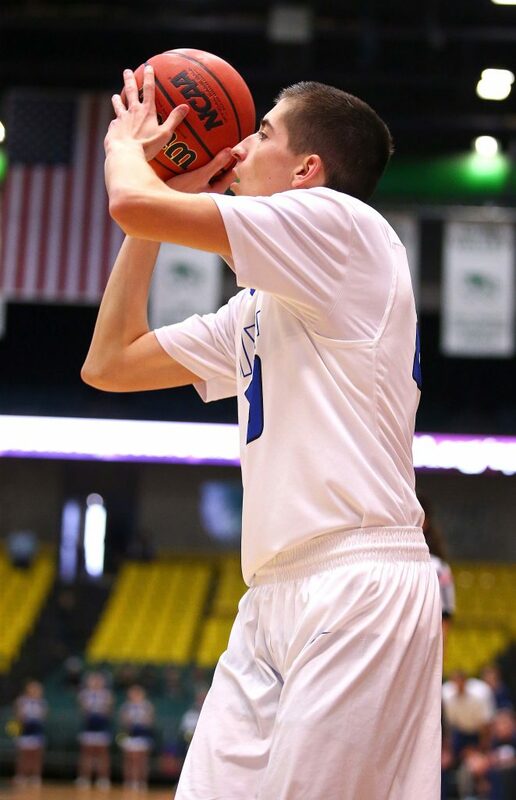 A Wilgar trey cut it to 24-21, but Salem answered with a pair of free throws to make it 26-21 at the half. 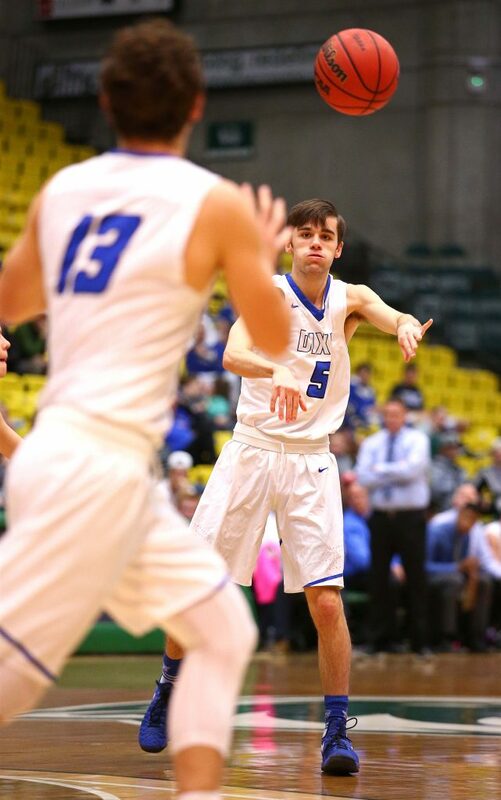 Dixie couldn’t get closer than four in the fourth quarter and the advantage grew to 43-35 at the 4:08 mark after three baskets by Nelson and a rebound bucket by Bishop. 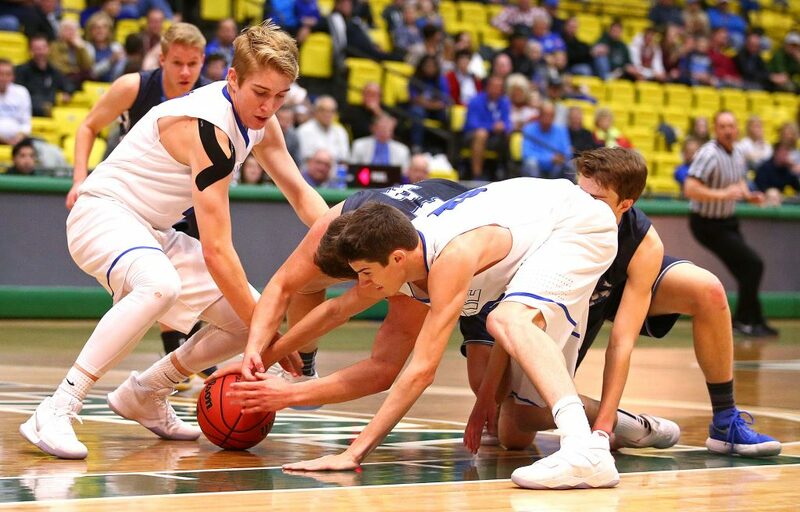 Dixie got within 45-39, but the Skyhawks scored five quick points to gain their biggest advantage at 50-39 with 2:15 left in the contest. 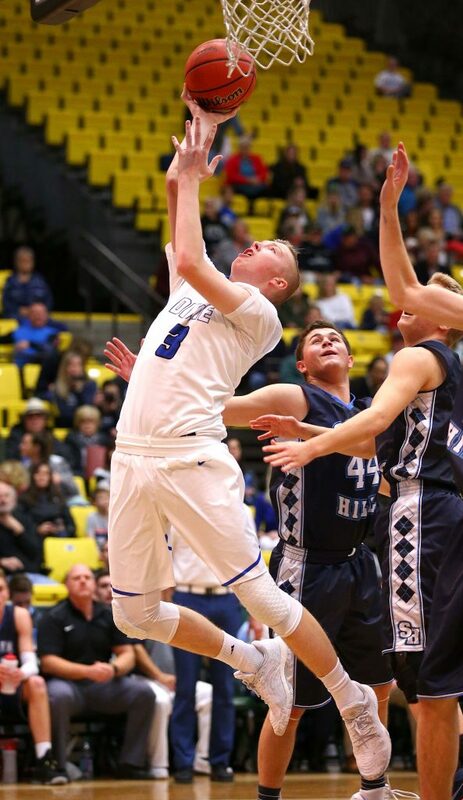 Tanner Cuff hit a basket with 1:10 on the clock that cut it to 53-46, but any thoughts of a late rally by the Flyers were crushed 16 seconds later when Cole Griffin took the ball to the hole, scored and was fouled. 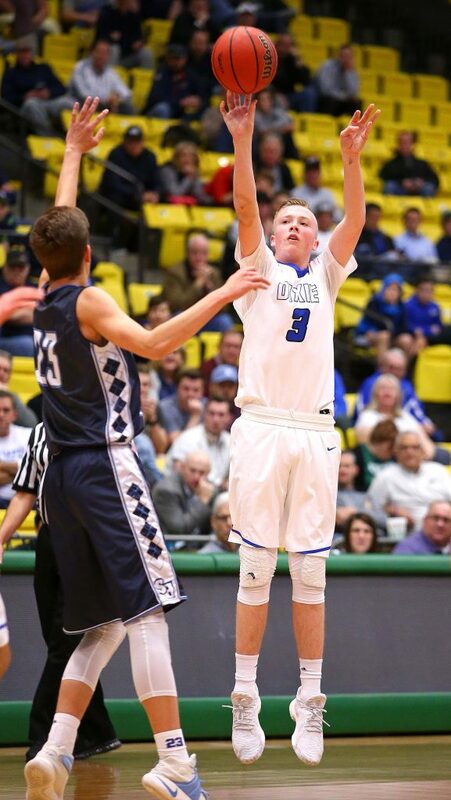 Tanner Cuff led Dixie with 15 points, but made just 6 of 19 shots. 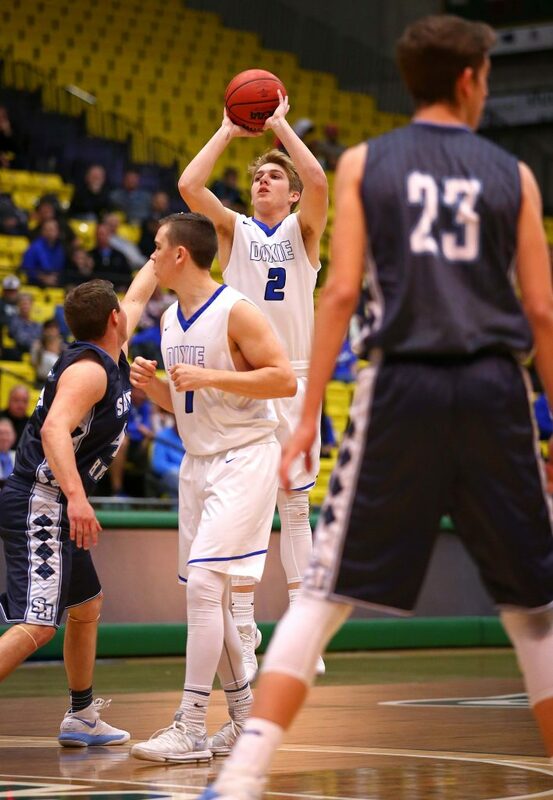 Wilgar added 12 points. 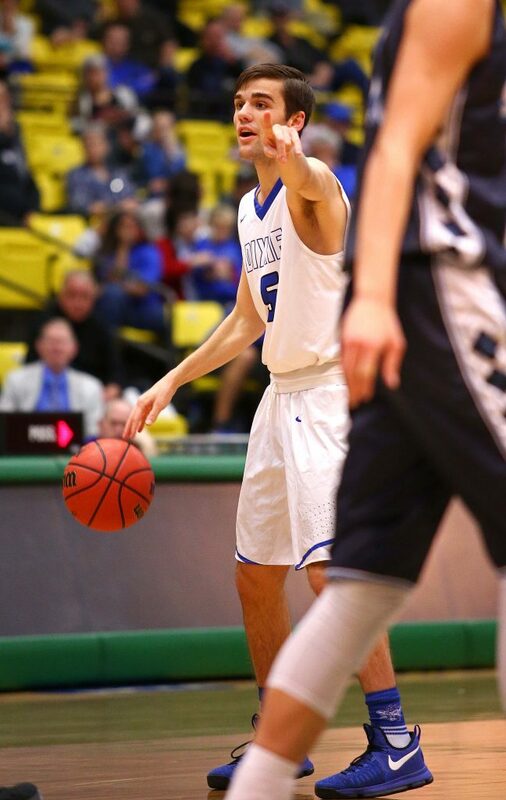 Bottema, who had 26 last week in Dixie’s first-round win over Bear River, has been sick and ended up with just five points in the game. 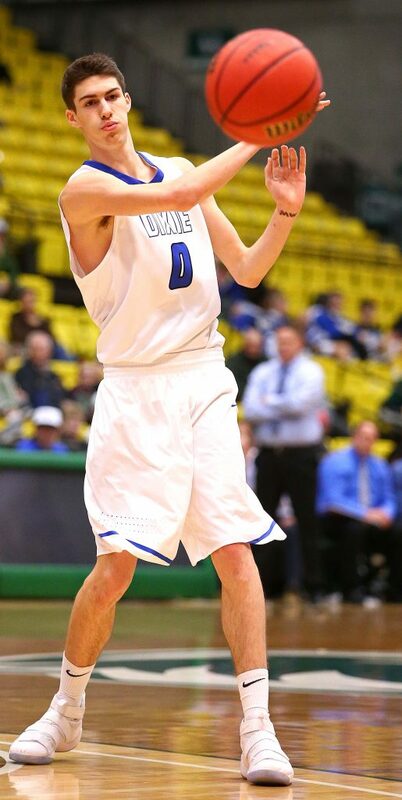 Dixie, 21-4, made just 5 of 19 3-pointers. 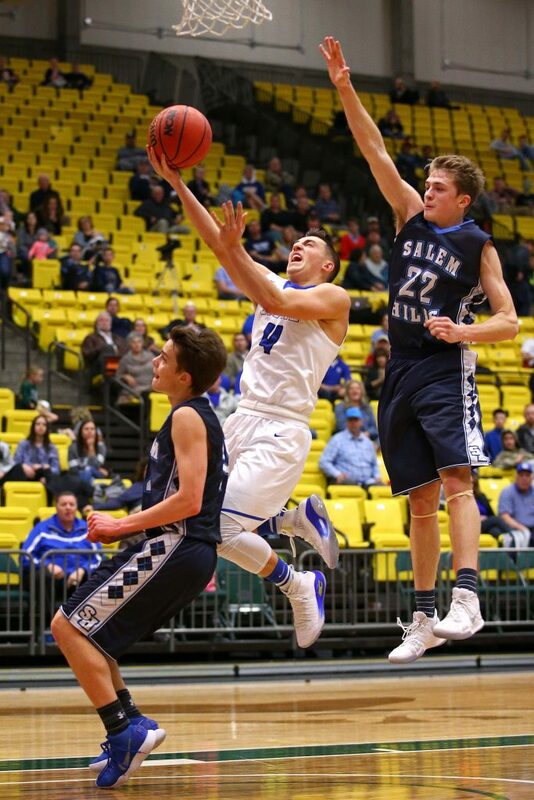 Salem Hills, 17-7, got 27 from Nelson and 12 from Bishop. 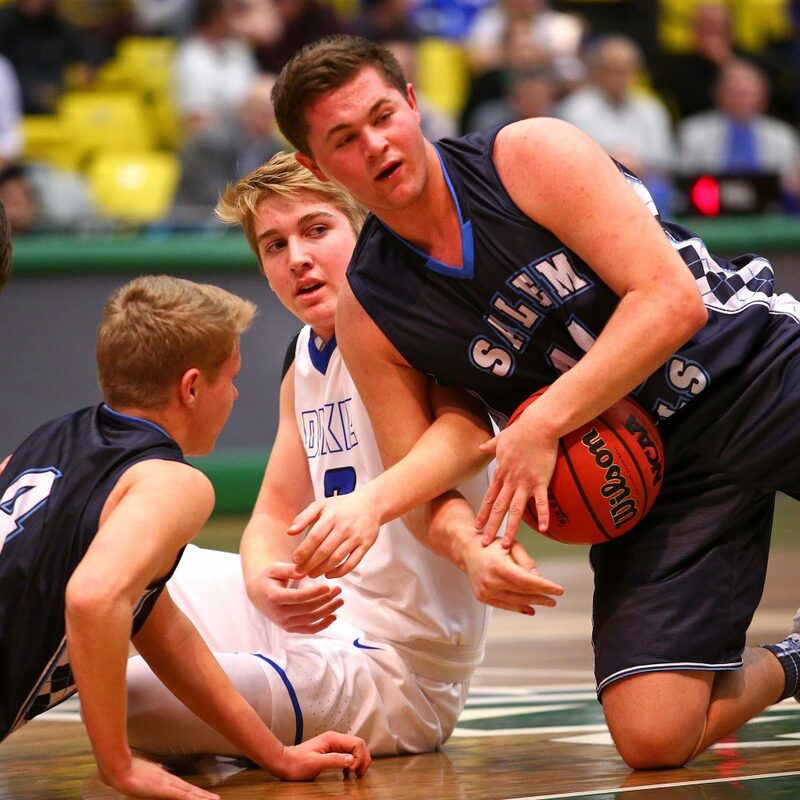 The Skyhawks advance to the 4A semifinals and will play Sky View at 9:10 p.m. Friday. The Bobcats advanced to the semifinals by blitzing the Lions early on. 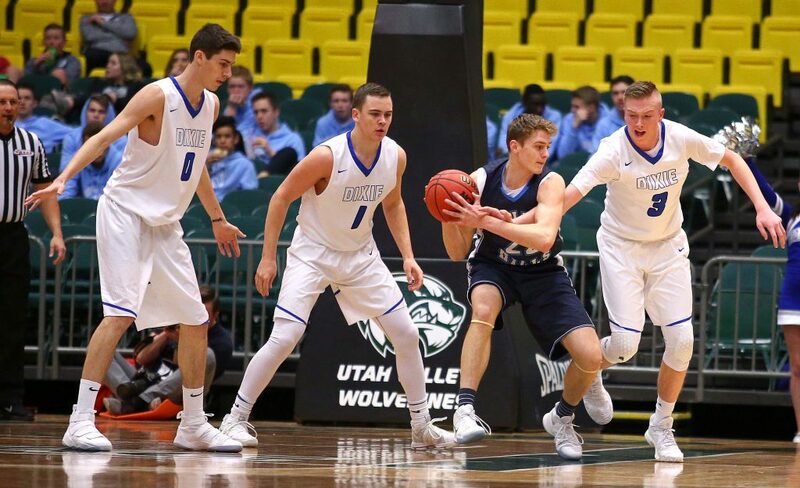 Sky View rushed out to a 20-4 advantage in the first quarter behind the trio of Mason Falslev, Andrew Dean and Cole Smith. 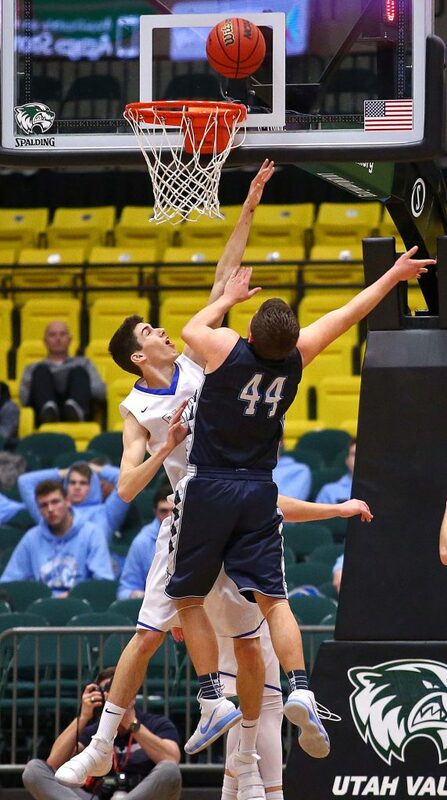 Dean was a beast inside, scoring 14 points and grabbing 17 rebounds. 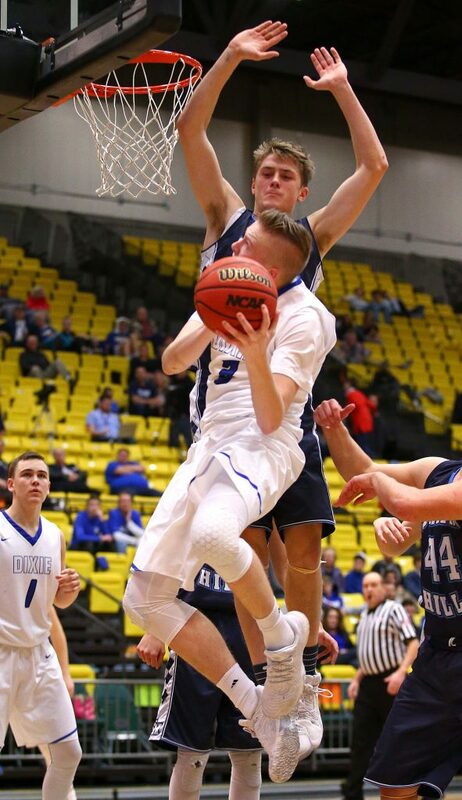 Falslev had 14 points and seven boards, plus three assists, and Smith had 14 points and five boards. Payosn never led in the game, but did pull to within six in the second half before the Bobcats pulled away by making 8 of 26 free throws. 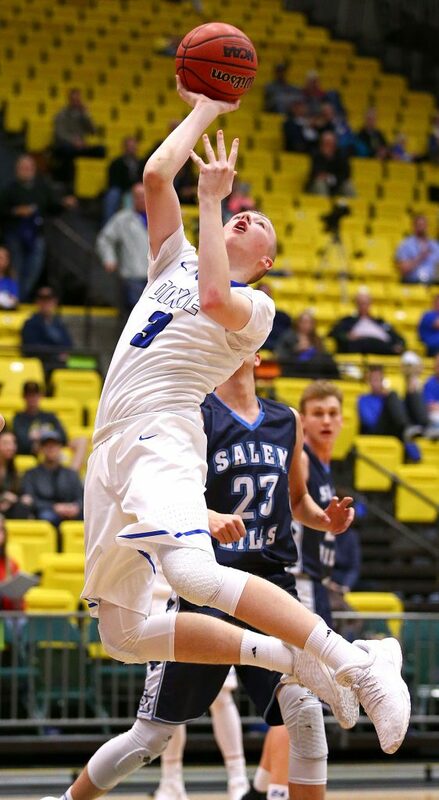 Sky View also outrebounded Payson 39-26. 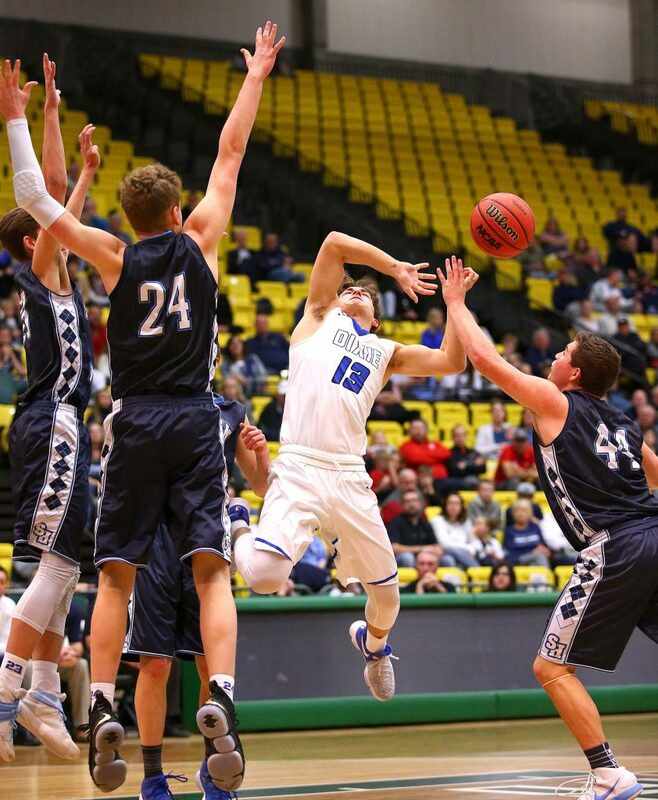 The Bobcats, 18-6, play Salem Hills at 9:10 p.m. in the 4A semifinals. 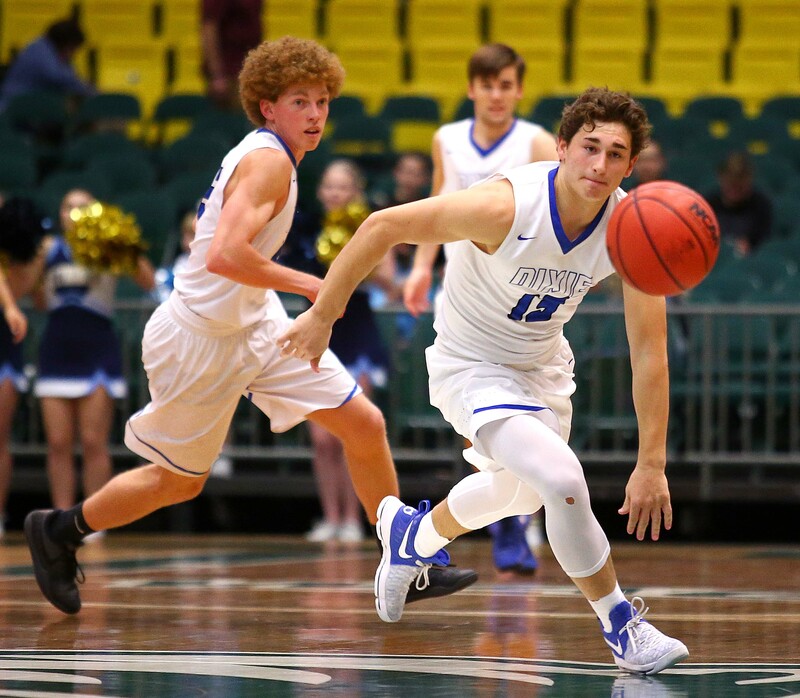 Payson finishes the year with a 13-10 record.